Glossier is the kind of brand you want to like. From its killer social media presence, where young, fresh-faced girls are snapped effortlessly, happily applying its products, to the covetable complexion of founder Emily Weiss, Glossier lives its message. It’s pared down, easy skincare and cosmetics that are all about what real women want. Now having launched two official “phases,” one with skincare and the other with color cosmetics, we have successfully honed in on our favorites. We’re obsessed with the Coconut Balm Dotcom, a luxe skin salve that seems to work in every situation. Think Aquaphor but with a mood-boosting scent of the Caribbean, featuring beeswax and castor seed oil for long lasting hydration. We also love the Milky Jelly Cleanser, which is basically the ultimate face cleanser for every type of skin. It’s this magical, ph-balanced, creamy gel/lotion with a blend of five skin conditioners, so our face is left feeling soft and clean, never tight. 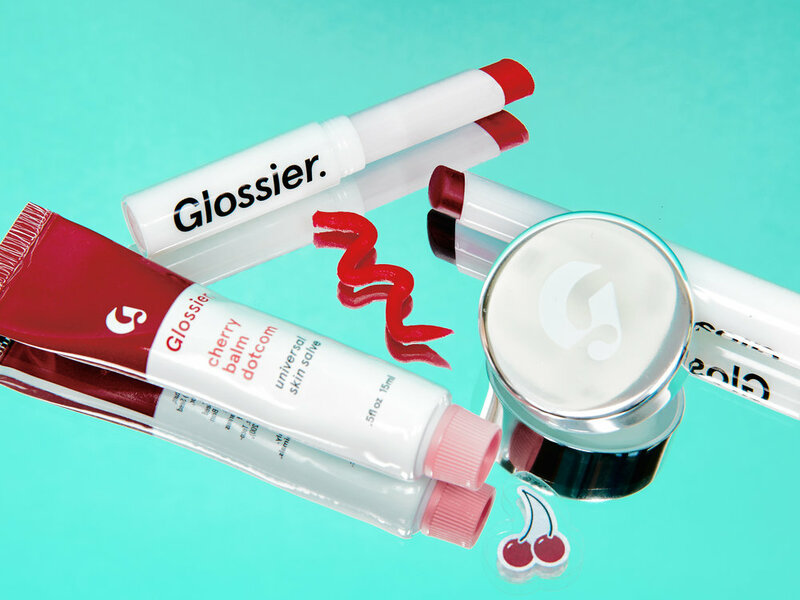 True to form, Glossier’s Phase 2 is exactly the makeup you need for a day on-the-go without having to feel buried with product. The Stretch Concealer offers near-perfect coverage that doesn’t cake or wear off with time (plus it provides a perfect selfie, aka #nofilter finish). The Boy Brow is everything you could want in a Brooke Shields-inspired brow shaper without feeling like it’s going to run off your forehead at any moment. Plus it fills in those pesky blank spots from any overeager tweeze jobs. We also love the Generation G “no lipstick” lipsticks that are easy enough to apply sans mirror and over time become a sweet little stain offering the perfect touch of color. Not to mention, all of these awesome items come in a take-everywhere, perfectly pink pouch that is also for sale on the site. It’s the ideal size for keys, wallets and collectibles or for traveling with your favorite Glossier items. Genius.